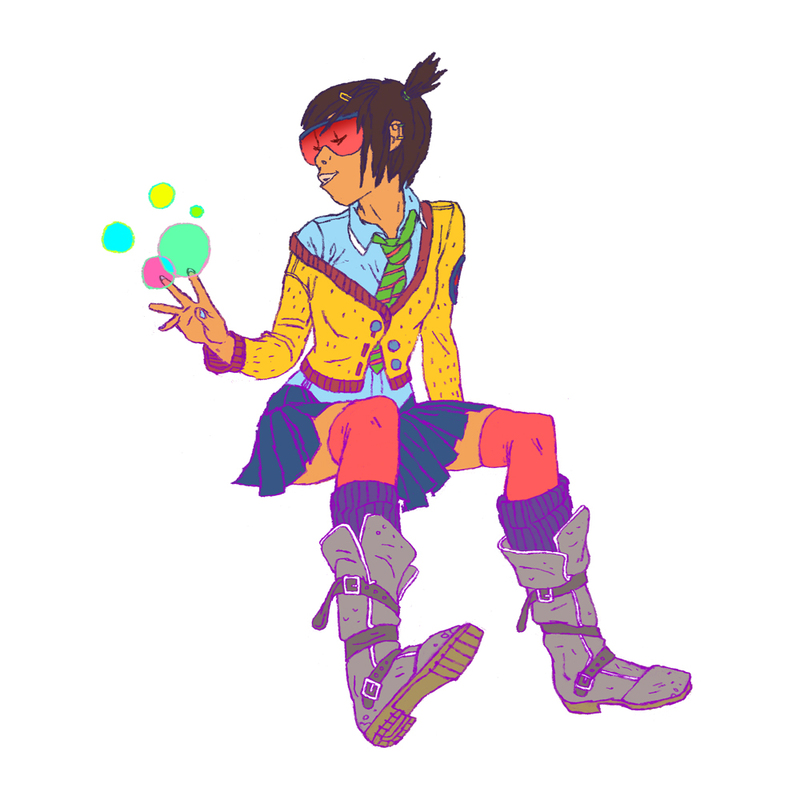 This is what Jubilee might look like if Xavier actually ran a School for Gifted Youngsters instead of a Front for his Morally Questionable Secret Paramilitary Strike Force. Seriously, why are those kids never in class? And why don't they have AWESOME prep-school uniforms? Between 1991 and 1998 most of my free time was spent trying to draw the X-Men like Jim Lee and waiting for my latent mutant powers to manifest themselves. It was a disappointing childhood. I kind of had the hots for Jubilee back in the 90's. This Jubilee is way hotter. Whooooaaaa.... I suddenly want to do nothing but draw X-Men in boarding school/prep school uniforms... And remake the video game Bully but with mutants. I'd love to see Wolverine in a prep school uni. You've completely echoed my childhood. I'm still waiting around for this. But I think your powers for sketching constantly are pretty freakish, so you have that. But, where the post on process? Did I miss it somehow? I want to know How. Nearly a year since ACA, can you believe it? These colors shouldn't be possible, but they are! Beautiful pose. my wife's favorite x-man, (x-woman?) drawn like never before! Rad.